Ill Nido, The Nest is one of the best Italian restaurants in the Hills District. Located in the Garden Plaza in Castle Hill, opposite Castle Hill Mall, it is a little slice of Italy hidden away in the hills district. Ill Nido, actually means The Nest in Italian, and they couldn't have picked a better name for this restaurant because it really does feel like a little nest, and a home. Ill Nido specialises in authentic wood fired pizzas, with a selection of delicious fresh pastas with all sauces for the pastas, minus the lasagna are made to order. They use a wide range of fresh produce for their meals, including free range chicken and fresh seafood to provide their customers with a delicious, fresh meal with amazing taste and flavours. I have been going to Ill Nido for many years now and the food is just as amazing as I remember. I went back after a few years last night and I was very impressed with the quality of food and the service they provided. We didn't have a booking, however they got us seated at a table straight away and within a minute there was a woman there ready to take our drinks order and provided us with our menus. This was great service! Throughout the night the staff were coming back to make sure we didn't need anything and offered us drinks numerous times. They provided exceptional service. The waiting time for meals wasn't bad at all, and the food was definitely worth the short wait. 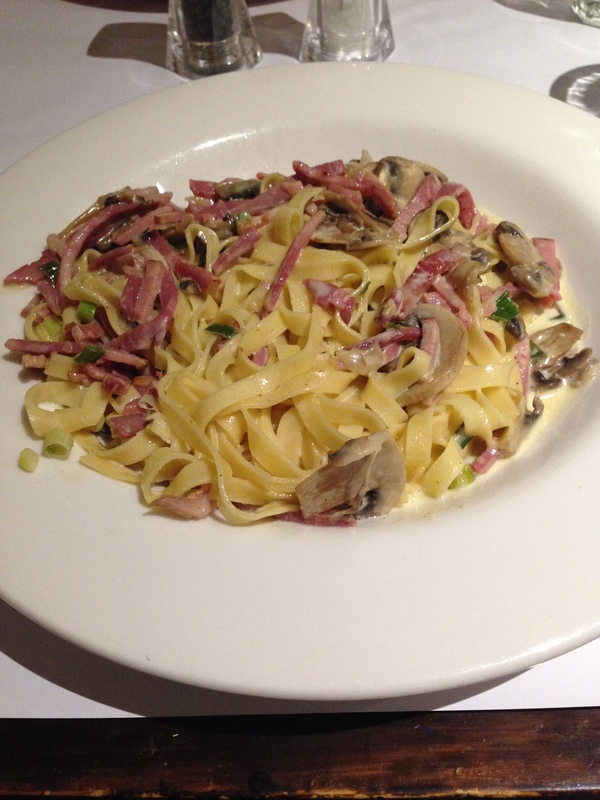 The staff came over to clear our plates quickly once we had finished and they made sure that we enjoyed our meals. They were very friendly, helpful and professional. One of the things I really liked about Ill Nido is that the restaurant is set out really well, it looks nice and you're not too close to other people in the restaurant, so you have privacy while eating your meal and you don't feel like you're sitting on top of other people. My partner made a comment that the staff were lovely people, and it was probably the best service we have ever had since being together for two years, and visiting many restaurants! This is a major compliment to the restaurant itself and to the staff, we highly recommend Ill Nido as a place to go, providing a great atmosphere, it's not too loud, exceptional service and amazing authentic Italian cuisine. 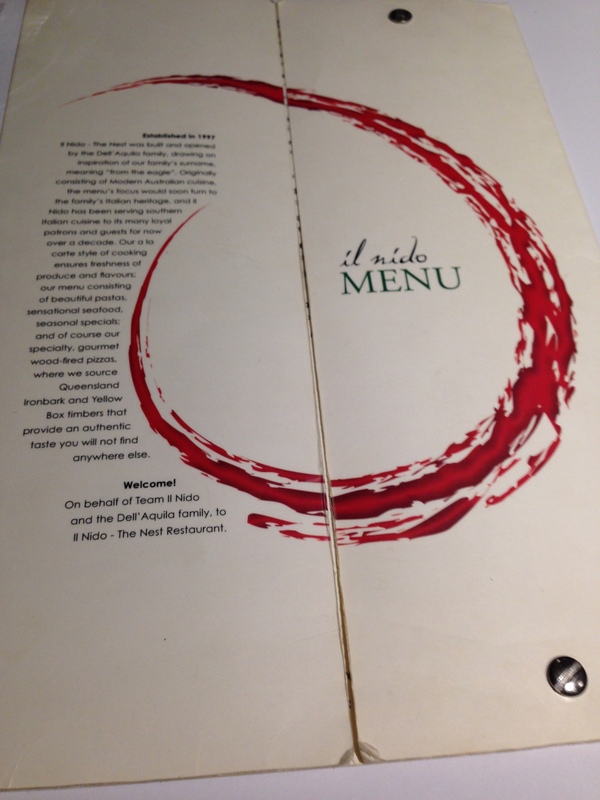 Ill Nido offers a wide range of Southern Italian Cuisine. For starters, some include garlic or herb bread, bruschetta, garlic or herb pizza, chilli pizza, garlic prawns, bbq octopus and cheese and bacon pizza. 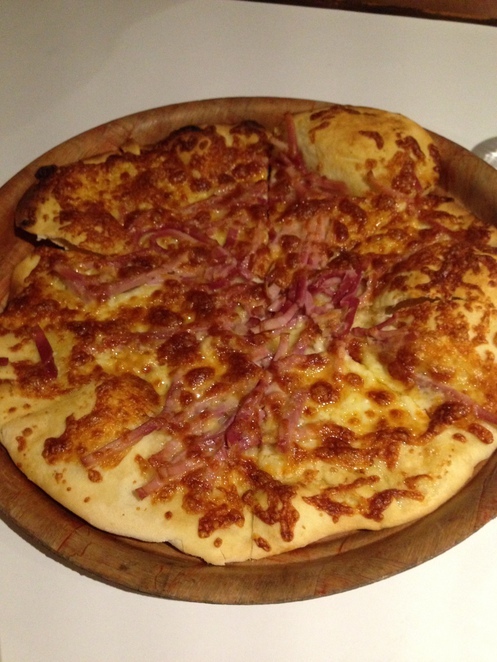 We had the cheese and bacon pizza on our most recent visit, and it was delicious. Would definitely recommend it . They have a selection of pastas including spaghetti arrabiata, spaghetti bolognese, lasagna, pumpkin and sage ravioli, penne scarcella and fettuccine boscaiola just to name a few. They have chicken boscaiola, parmigiana, mushroom and avocado and regina, as well as veal parmigiana and marsala to name a few. Last but not least they have a selection of delicious wood fired pizza and calzone such as aussie, pepperoni, polo, seafood, tandoori, vegetarian, lamb, chicken and prawn and hawaiian just to name a few. As you can see the menu offers a wide range of food options for everyone. For our meals we have the fettuccine boscaiola and the aussie pizza. Both my partner and I enjoyed our meals very much, they were delicious and filled with flavour! Highly recommended. They are open for dinner from Tuesday to Saturday and they also provide takeaway. Overall I would highly recommend Ill Nido, Castle Hill. Its a great little Italian restaurant in the Hills District which provides high quality food, delicious and full of flavour, with generous portion sizes providing great value for money. The ambience was great and the staff were helpful, friendly and very professional. Definitely gets a positive review from my partner and I, so try it out for yourselves. 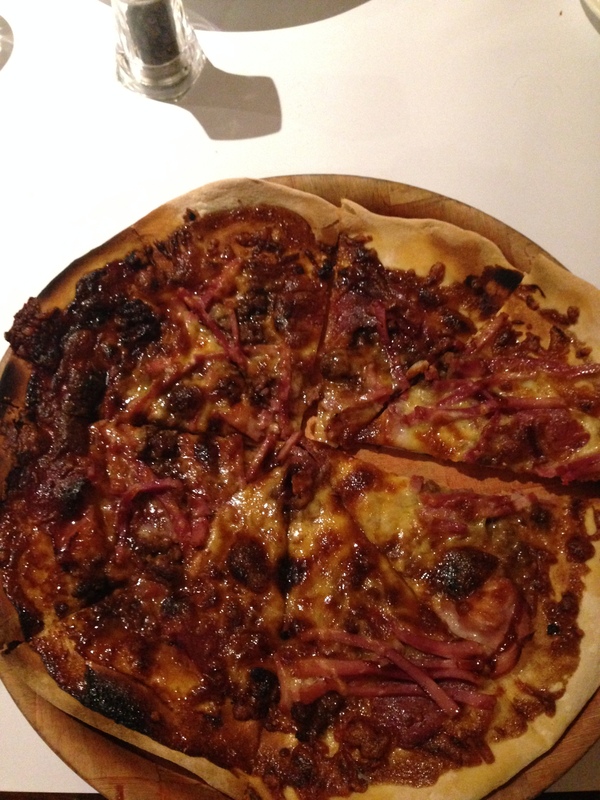 The Aussie pizza looks scrummy.